March 31, 2008  Former Secretary of State Madeleine Albright opens her music file to share her musical tastes and what's playing in her ear. March 29, 2008  The man who knew John, Paul and George before Ringo, who served as a confidante and business manager to all four Beatles and who helped keep peace in the band after it split up — Neil Aspinall — died this week. Beatles scholar Martin Lewis remembers Aspinall's life and work. March 29, 2008  When your stock in trade is your voice, the slightest tickle in the back of your throat is scary. An opera singer gives advice about how to preserve and protect your voice. March 29, 2008  Ascension Solorsano de Cervantes was the last known member of the Amah Mutsun tribe fluent in her people's language. Now, an opera singer and a composer have written what they're calling an "ethno-historical cantata" based on her oral history. March 28, 2008  The man credited with playing some of the first recorded guitar solos is today largely forgotten. But a group of Philadelphia-based musicians have just produced a tribute to the early master of blues, jazz and pop. March 28, 2008  With a powerful and flexible delivery — and a globetrotting ear for beats — the rapper is one of the artists leading the hip-hop revolution in Cuban popular music. She talks with host Maria Hinojosa about her latest album, A Diario. March 28, 2008  Chuck Berry's influence on rock 'n' roll is undeniable. Today at 81, Berry still is as relevant as ever before. Farai Chideya talks about the guitar god with Andy McKaie, who produced a new four CD box set Chuck Berry - Johnny B. Goode: His Complete '50s Chess Recordings. March 27, 2008  The songwriter experienced his share of highs and lows with the acclaimed rock bands Galaxie 500 and Luna. Hear an interview about the musical love affairs — both on and off stage — detailed in his new memoir. March 27, 2008  The sound of beat boxing has been the background to generations of hip-hop music. But one man is using the form to express a political message of peace for the Middle East. Performer Yuri Lane talks about his one-man show, From Tel Aviv to Ramallah: A Beat Box Journey. March 27, 2008  Actress Zooey Deschanel has made a move from the big screen to the indie-rock stage, recently co-founding the group She and Him. Deschanel joins Fresh Air to discuss her music and her band's new album, Volume One. March 26, 2008  Hundreds gathered at a vigil Monday night for Emilio Navaira, the man known as "the King of Tejano Music," who is in a coma after a bus accident and may not survive. Reporter Ramiro Burr offers a quick guide to Navaira's singular genre. 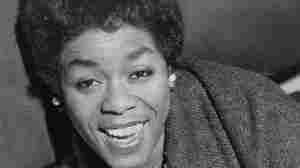 March 26, 2008  Sarah Vaughan was affectionately known as both "Sassy" and "The Divine One," nicknames that reflect the extraordinarily wide range of expression she achieved in her singing. March 25, 2008  He's one of New York's top jazz guitarists, but Lionel Loueke grew up in the West African nation of Benin. Since he left, he has forged a unique sound which draws from the traditional music of his youth. March 25, 2008  The first time Arturo Toscanini conducted an orchestra, he was 19, and the year was 1886. The last time he conducted a live performance came 68 years later, in 1954. Sara Fishko tries to weave through the immense web of musical history he left behind. March 25, 2008  The Congolese-born musician draws from the musical traditions of Africa, the Caribbean, and South America to create his melodies. Lemvo talks about the roots of his eclectic style and his new album, Isabela.